A village, a glasshouse, a factory. 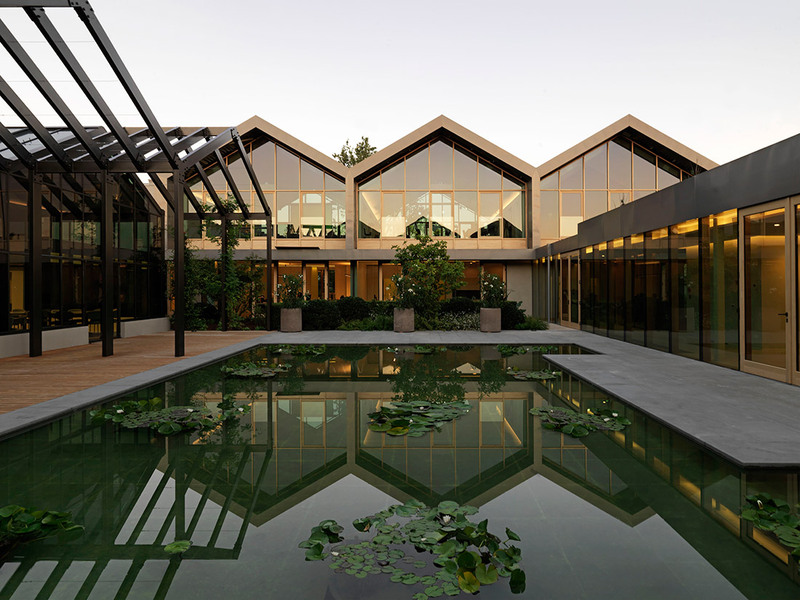 Traditional rural shapes and innovative volumes merge around a greenhouse. 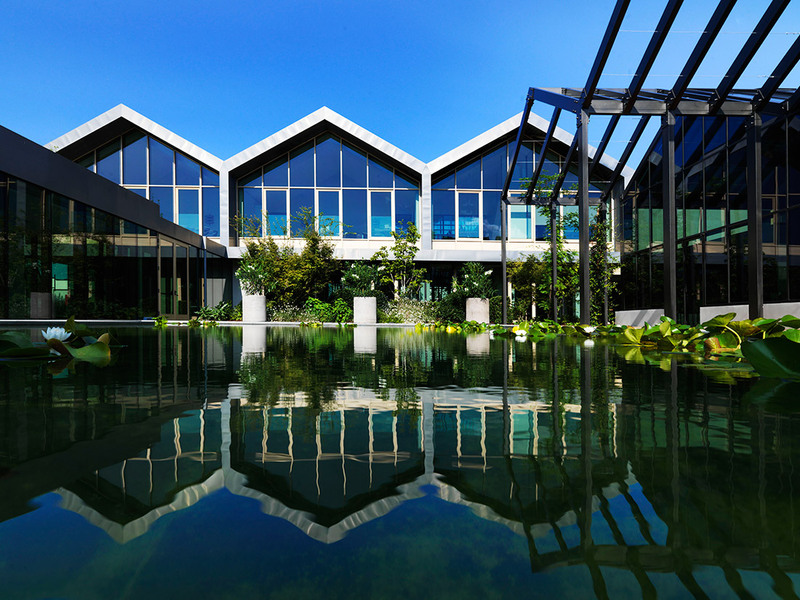 Functionality and welfare for DAVINES’s employees. The point of departure? 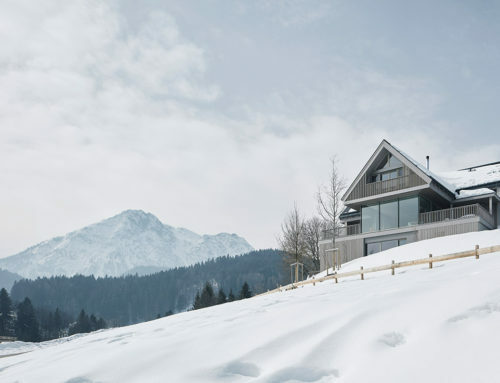 Create a complex with maximum architectural transparency and provide every working station with a view of the green areas by using a minimum amount of masonry elements. 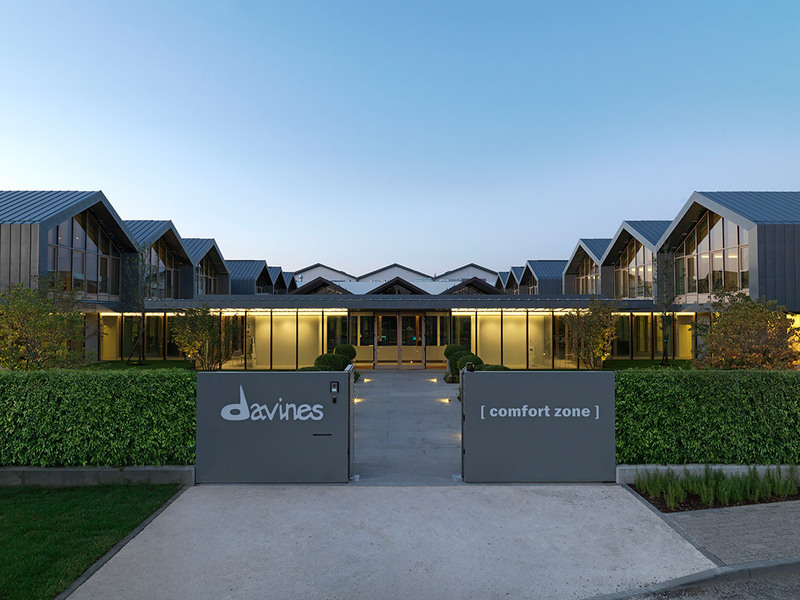 The architecture of the DAVINES’s new headquarters and manufacturing, packaging, storage facility and skin care brand [Comfort Zone] is designed to create a family-working environment. 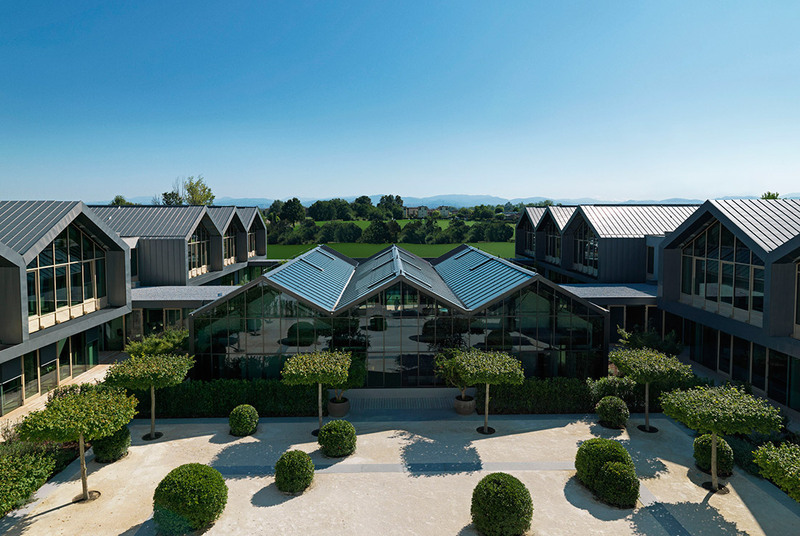 The headquarter and offices are conceived as a village of inviting two-storey houses inspired by archetypes, grouped around a lush flower-garden. 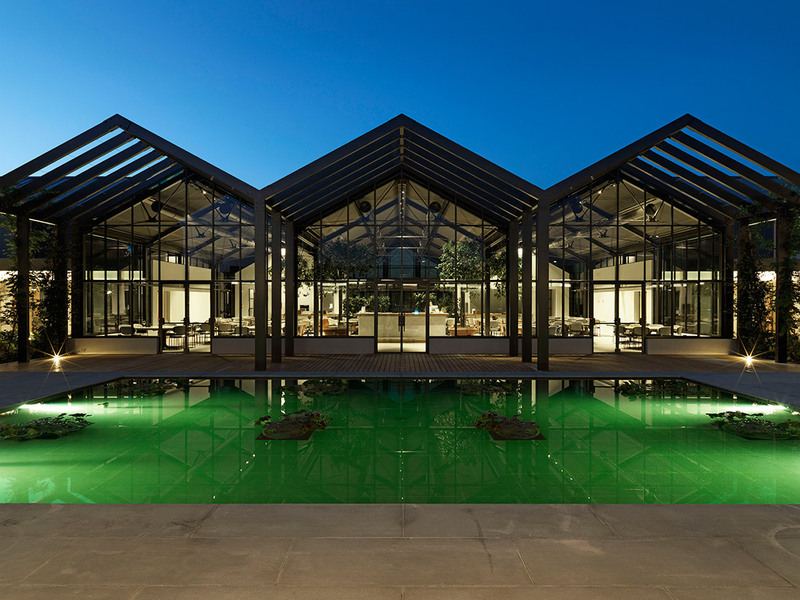 The “greenhouse”, characterized by a modern and light architectural style, made from glass and super thin steel, forms the heart of the complex and houses the co-working areas, the restaurant and bar for the employees. 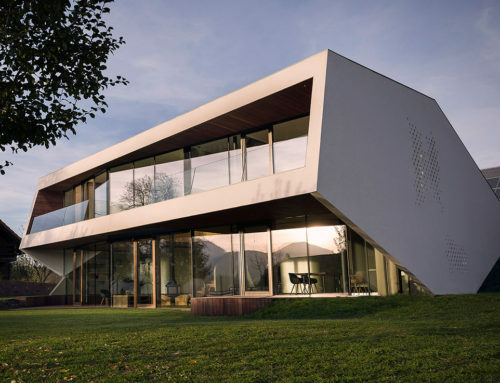 The shapes of the office houses made from natural oak wood with titanium zinc roofs are reduced to the max and are flooded with light by using a particular glass that avoids colour distortions. 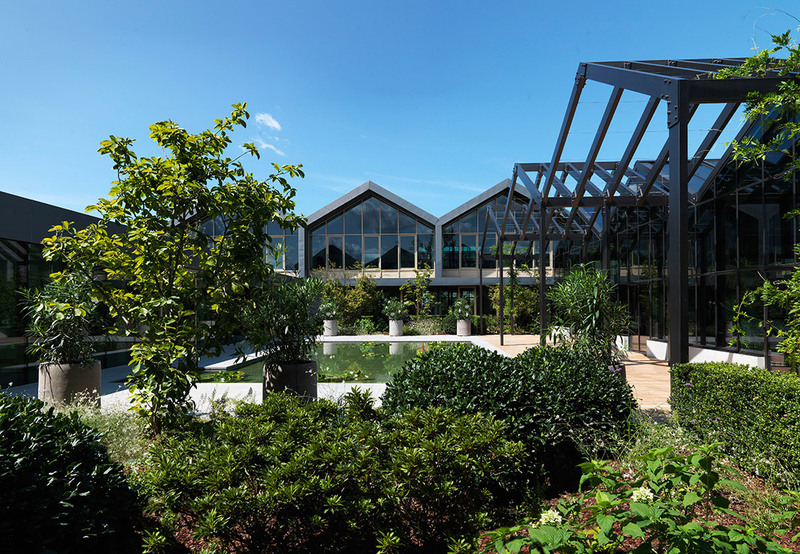 Surrounded by green areas the project includes laboratories designed as open, transparent spaces to the garden, education zones for hairdresser and aestheticians’ training, control rooms and a skin bar where [comfort zone] products can be tested. 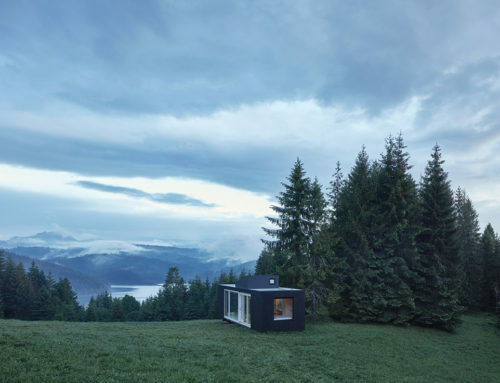 Prefabricated with self-cleaning cement facades, the warehouse is structured in white and grey with polycarbonate and zinc panels and is protected by a hilly terrain that faces the motorway. 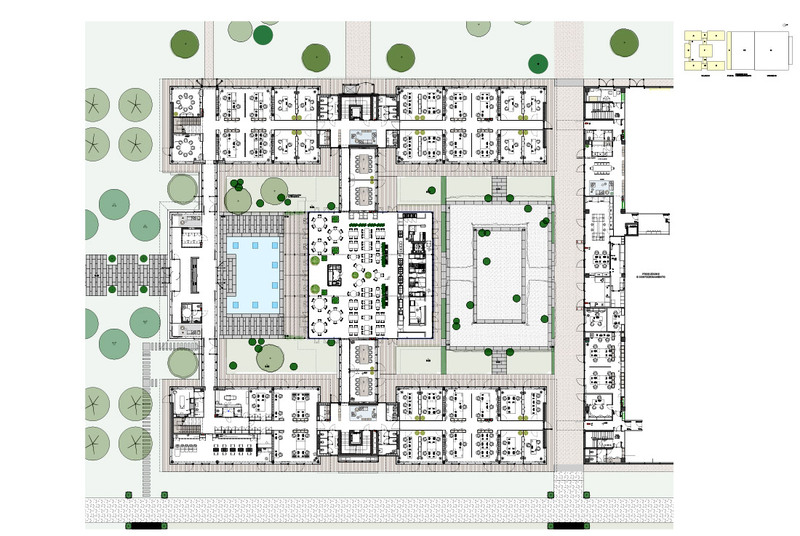 Vegetation is the common denominator of the project. 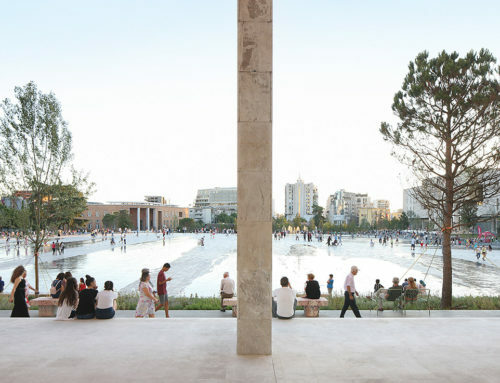 In constant and harmonious dialogue with the architecture, the green areas reveal themselves in all their beauty and include two internal courtyards, the scientific vegetable garden, and a large garden surrounding the buildings and the Green Kilometre along the highway.